Bob Marley -the man- is the subject of Kevin MacDonald’s thoughtful new documentary. Marley traces the life and ascent to fame of Bob Marley, arguably the most important reggae artist of all time. The singer/songwriter/activist was a complicated man who rose from obscurity as a Jamaican musician to become the most acclaimed artist the country has ever produced, a symbol of peace, love and tolerance to the entire world. As directed by Academy Award winning director, Kevin MacDonald, Marley is an in depth portrait of a man whose life was cut short at the peak of his stardom. Filled with rare interviews, testimonials by his family, friends, lovers and bandmates, it may be the most complete portrait of the man ever. The film begins with his very humble roots and follows his journey to become an international music figure. We learn about his poor upbringing and the taunts he endured being a half black/half white child. Like many artists with difficult childhoods, Marley was drawn to music. He co-founded the Wailers and they had local success in Jamaica. Soon, the rest of the world came calling for the talents of this reggae band. When signing with a major label (Chris Blackwell’s Island Records), a dispute between original Wailers Peter Tosh, Bunny Wailer and Blackwell lead to those two leaving the band. However, Marley decided to stay with Blackwell instead of siding with his longtime bandmates, a move that would propel him to super stardom. While there is a great deal of music and discussion about Marley’s rise to fame, I was a little disappointed that the process he went through creating his art wasn’t more fully discussed. 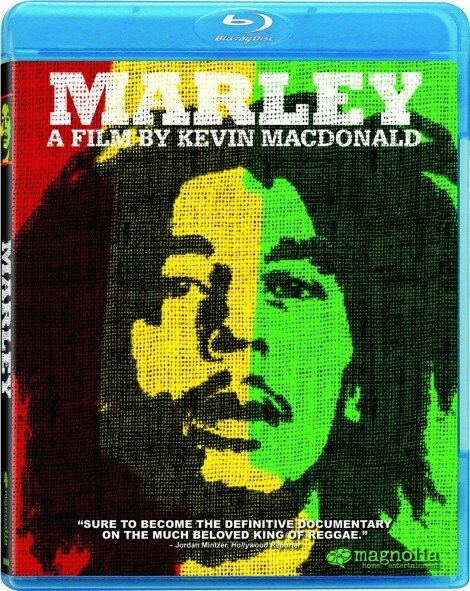 Then again, this film isn’t about Bob Marley the musician; it’s about Bob Marley the man. MacDonald does an excellent job of stripping away the myth of Marley. A complicated and important man to his culture, he was human and suffered from the same shortcomings as many husbands and fathers. That he had eleven children from seven different women indicates that despite his positive message and ability to get his listeners to stand up for their rights, the guy was a cheater. He film pulls no punches in discussing his infidelities. In fact, one of his mistresses is interviewed extensively. What amazed me is that Marley’s wife, Rita, whom in one interview he denied being married to, openly accepted his womanizing, all while performing as a backup singer in the Wailers. She even corralled groupies away from Bob so he could get some rest! As Rita explains in the film, she felt that Bob was such an important figure that she lived with his philandering. Did his behavior hurt her? Rita says no. However, as his daughter attests, Marley’s extramarital affairs did have an impact on Rita. As a father, Marley could also be distant and somewhat aloof from his children. As his fame rose and his involvement with politics and the Rastafari religion deepened, he became more concerned with philosophizing and trying to find ways to better the world than raising a family. For all the good he did and how he inspired people, it was a little disappointing to learn this character flaw about the man. However, Marley never saw himself as a saint. That was something other people labeled him. While MacDonald takes a critical look at Marley’s life, this is still a thoughtful documentary and contains some remarkable concert footage, clearly showing why Marley drew larger crowds as his fame grew. He could captivate audiences for hours, with his reggae beats and songs about revolution and humanity. The film also features in depth details about the singer’s tragic death from cancer, including some rarely seen photos taken just weeks before he died, his body ravaged by cancer. The tragedy of Bob Marley’s death is that he received unsound medical advice. As producer Chris Blackwell says, if he’d received better medical attention, Bob Marley could still be alive today. The Blu-ray contains extended interviews with the people in the film, including Ziggy Marley, one of the film’s producers, as well as musical performances that are also featured in the film.